"Modern virtual prototyping solutions for optical and illumination systems"
How Modern Virtual Prototyping Can Change The Product Development Process? Outdated workflows limit team collaboration and compromise design integrity causing failures in physical prototypes or production impacting the schedules of an organization. As a result, leading companies have moved away from a linear process to a parallel design environment, in which design faithfulness is maintained throughout the workflow. By collaborating over a shared virtual prototype, optical and mechanical engineers can easily identify and correct design errors early in the design phase. Having the product designed right in the early stage leads to higher top-line revenue, lower cost, and a faster time to market. 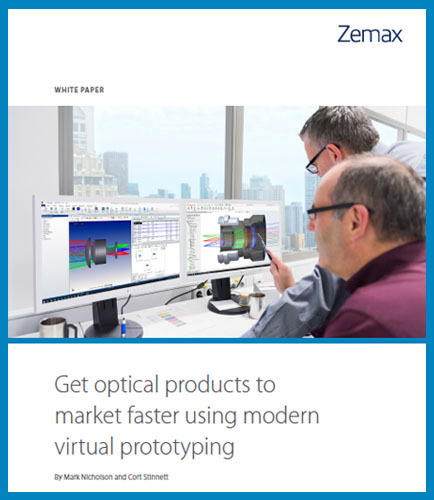 How OpticStudio and LensMechanix together can create a modern virtual prototyping solution? Machine learning, a sub-discipline of computer science and a form of artificial intelligence (AI) that deals with the ability of the computers to learn and evolve without being programmed explicitly. In the year 1959, the term ‘machine learning’ was coined by Arthur lee Samuel (1901-1990).Arthur was an American computer expert and a pioneer in the field of AI and computer gaming. According to him, machine learning provides "computers the ability to learn without being explicitly programmed. What is Optical Character Recognition ? Over the years, with the advent of computers, human functions have been transformed into a more digitized format. Performing tasks which were once herculean have become easy and less time consuming.